Get a different gameplay with the new Ball Physics made by Kingsley 813 from Evo-Web. 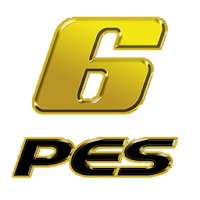 This mod only works with Pro Evolution Soccer 6 Original Game. Here's some features you should now. Increased the ball movement at player's feet. Ball rolls away more, and sticks less to player's feet. Slightly more bounce in the ball, noticeable in passing. 2. Extract PES 6 Ball Physics Update with WinRAR and put it to your PES 6 installation folder ( Replace / Overwrite ). 3. Done ! now see the difference !